Are Tough Interrogations Necessary? The debate over whether harsh interrogation techniques are ever necessary has reverberated in the halls of Congress, at the White House and across the country. In the latest in the Intelligence Squared U.S. series, six experts tackle the question. 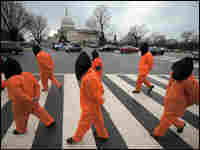 Demonstrators at a rally against torture on the National Mall in Washington evoke images of prisoners being held at Guantanamo Bay Naval Base. The next debate, on the proposition "Islam Is Dominated by Radicals," takes place April 15. Allegations that CIA agents used waterboarding and other "enhanced interrogation techniques" against suspected members of al-Qaida have made headlines recently. 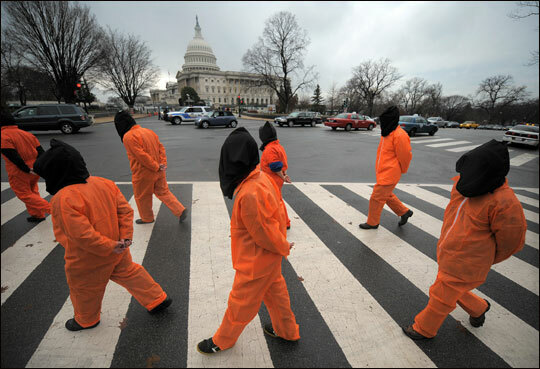 The debate over whether such techniques — which some call torture — are ever necessary has reverberated in the halls of Congress, at the White House and across the nation. Many Americans find such harsh interrogation techniques abhorrent and believe they should be banned. They undermine American values, they say, and rarely produce worthwhile intelligence. Others argue that harsh interrogation is sometimes necessary, especially when dealing with a brutal and implacable enemy. They say that the techniques can yield valuable information about planned terrorist attacks, and that innocent lives might be saved. Six experts on interrogation techniques recently took on the issue in an Oxford-style debate, part of the series Intelligence Squared U.S. 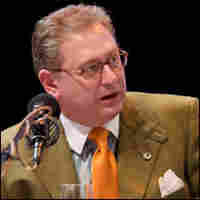 The debates are modeled on a program begun in London in 2002: Three experts argue in favor of a proposition and three argue against. In the latest debate, held on March 11, the formal proposition was "Tough interrogation of terror suspects is necessary." Minds were changed during the debate. Before the debate, 46 percent of the audience voted in favor of the motion — that tough interrogation of terror suspects is necessary — while 35 percent opposed it (with 19 percent undecided). 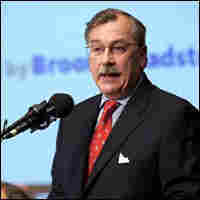 By the end of the session, 53 percent opposed the motion and only 40 percent favored it, with 7 percent still undecided. The event was held at Asia Society and Museum in New York City and moderated by veteran journalist Brooke Gladstone, managing editor and co-host of the public radio program On the Media. 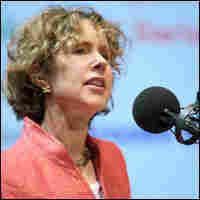 Heather Mac Donald, John M. Olin Fellow at the Manhattan Institute and a contributing editor to City Journal, says: "Uncertainty is an interrogator's most powerful ally. It can lead the detainee to believe that the interrogator is in total control, and holds the key to his future. An interrogator facing a resistant Taliban explosives-maker, for example, might angrily hoist the prisoner up by his collar and storm out of the interrogation booth. The detainee had previously understood that American interrogators couldn't so much as lay a finger on them. Suddenly, he doesn't know what the interrogator's limits are. That frightening uncertainty can change his calculations about whether to cooperate. 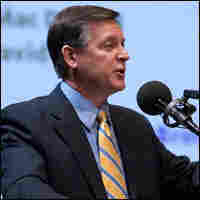 ... Intelligence about terror planning is our only sure defense against attack. Nothing else matters. Interrogators facing the urgent need to get life-saving information from terrorists with likely knowledge of future plots should be allowed to use stress when the questioning techniques designed for lawful prisoners of war are not working." Excerpts of Mac Donald's argument. Rick Francona, a retired Air Force lieutenant colonel and military analyst for NBC News, says: "I'm probably the only one on the stage that's been waterboarded. I don't consider it torture, but by no means do I consider it pleasant, and it's not something you sign up to do, you know, for your summer camp. The Air Force did it during our training to show us what it was like — the purpose of it was to show us the treatment that we could expect as potential prisoners of war. And the point was made and I want to underscore this: Never in our history have we gone into a conflict and our prisoners been treated right; the Geneva Convention was an attempt to make that happen. I submit that it has failed miserably. It restricts what we can do — we make sure we treat people right, and we get no reciprocal treatment at all." David Rivkin, a visiting fellow at the Nixon Center who's served in the Reagan and George H.W. Bush administrations, says: "We're at war with an implacable and ruthless foe that thinks nothing about killing civilians by the thousands and is seeking to kill millions more. I don't think anybody would disagree about obtaining intelligence is vital in this war. And we can debate, theoretically, the proposition that other techniques work, but it's a matter of fact. There are instances where hardened anti-operatives did not prove susceptible to these kinder, gentler techniques, and yet provided intelligence when they were subjected to stressful interrogation techniques." 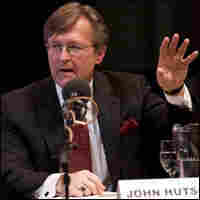 John Hutson, former judge advocate general of the Navy who is now president and dean of the Franklin Pierce Law Center, says: "By the DOD's own count, approximately 40 people have been killed in the hands of the United States, in detention, as homicides. So let's not kid ourselves that this is some sort of benign search for the truth. Torture was never intended to be that. Torture was intended originally to be an effort to get false confessions. You're a heretic; you're a traitor to the king; you're a witch. We've given a bad name to torture. We've misapplied torture — we're trying to use it to find the truth, for Pete's sake. ... Beyond the basic fact that such actions are illegal, tort history shows that they are frequently neither useful nor necessary. Our greatest strength is our ideas and our ideals. The enemy is completely bereft of ideas ... and ideals. Thomas Paine said in 1776, 'The cause of America is the cause of all mankind.' Several hundred years later, that great geopolitical commentator Bono said, 'America isn't just a country, it's an idea.'" 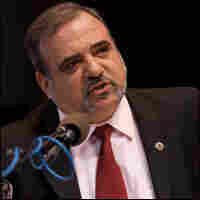 Darius Rejali, professor of political science and chairman of the political science department at Reed College, says: "Good torture creates bad intelligence, involves torturing thousands of innocents, while the terrorists run free. It destroys our soldiers who are forced to put in these positions [sic], we have the studies, and the organizations. And limited time makes all these effects worse, not better. That's the data. The professional Gestapo knew this. The Japanese Kempei Tai knew this. Even occasionally a Spanish inquisitor figured this one out." Jack Cloonan, a 25-year veteran of the FBI and president of the global risk and crisis management firm Clayton Consultants, says: "When we engage in these techniques, there is a pushback from the opposition. And what does that pushback mean to you? What does that mean to you and your families? Because when we push back and when we engage in these [types] of techniques, the opposition is duty-bound, the enemy, as we've heard described here tonight, is duty-bound to get revenge. ... There's too much at stake — your safety is at stake — to engage in harsh interrogation techniques, which is going to cause the enemy to seek revenge against each of you."